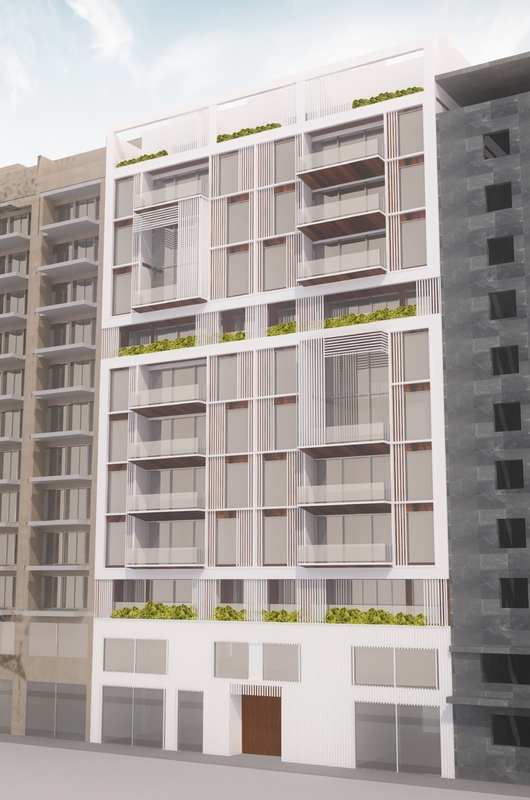 An 11 storey building consisting of tourist apartments which is located on Avenida de Francia, an area of recent urban expansion with its distinctive high-rise buildings in the city of Valencia. 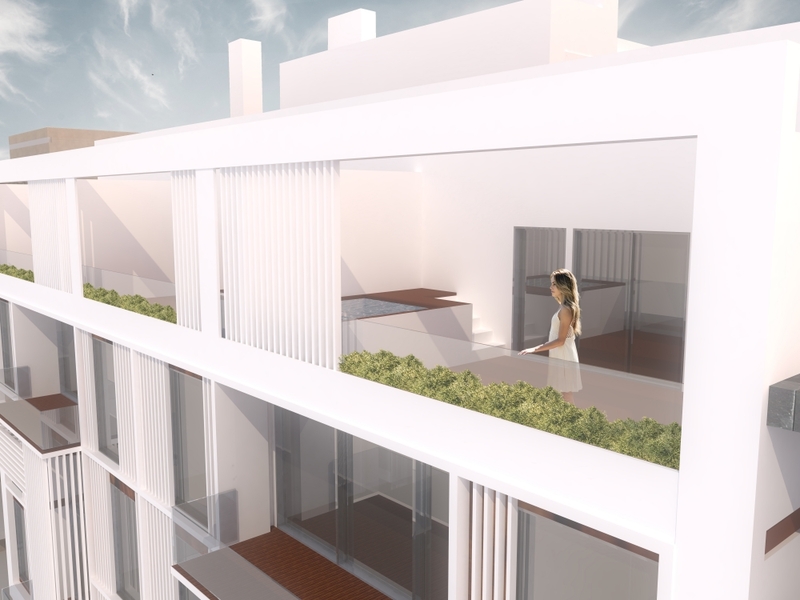 The aim is to provide luxury apartments, that stand out from the ones we can currently find in the Valencian market. There is a total of 41 apartments that change the tradional distribution of the living spaces, offering new possibilities. This innovation is also shown in the facade which has a strong exterior image. The facade consists of three parts: a heavy base, and two volumes defined by a characteristic white frame. 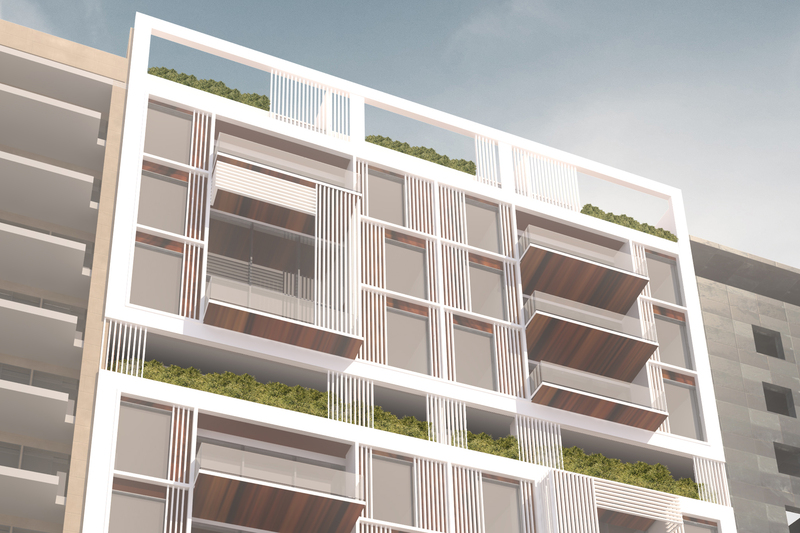 In addition, the whit frame is again divided in a secondary grid system with slats which adds depth to the facade. The main material of the facade is a white continous solid surface, combined with warm wooden panels. This gives a slender and elegant aspect, which stands in contrast to a more traditional facade composition.